It has been making its way through the Interweb over the weekend, but Joe Meno -- the editor of BrickJournal -- has unleashed his building skill on the world to celebrate the design of a company he loves. 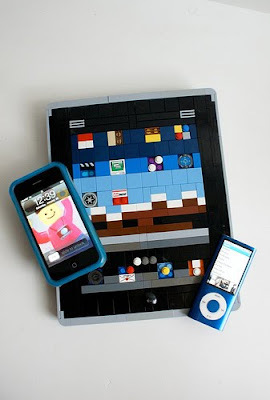 Joe has built a LEGO-ized iPad -- complete with apps and an Apple logo on the back. The build is to scale and is a great demonstration of a studs up build, wherein LEGO bricks are stacked atop one another -- the same way you stacked bricks as a kid -- except you likely weren't building a sweet tablet computer. Joe's one of the first people I met who had an iPhone and still remains one of the savviest users of the device. I hope he gets an iPad for Christmas.